How do I hang my poster up? 1. Grommets: We can install these with no additional charge upon request. 2. 3M™ tape (3M™ 9448A Double Coated Tissue Tape) works well on different types of walls/display boards. This is a close-up view of our fabric poster. 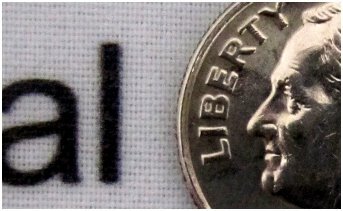 Our ink will not "bleed" or make your type and photos look fuzzy as other fabrics will. 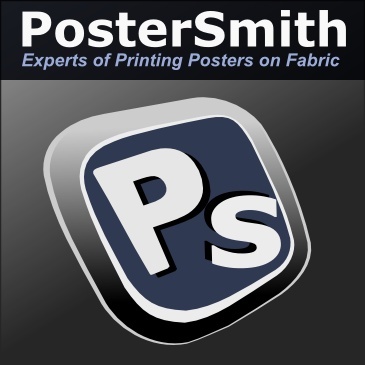 To see our fabric posters in action, please take a look of this Youtube clip that we have prepared for you.